Houses and villas for sale in Menorca at fair prices Exclusive service and exclusive villas is exactly what the CW Group has to offer. 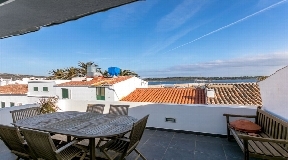 Are you interested in a property in Menorca for smaller budget? The CW Group has a wide range of exclusive houses. Let your dream come true with us. The CW Group team helps you to find your house. Call us at telephone no. +34 604 101 816. We're looking forward to collaborate with you. Visit with us the house you like and realize your dream! Your CW Group team has a large portfolio of properties. Visit our new website and take a look at our rich portfolio. We provide the most exclusive houses in Menorca at affordable prices. Many villas are built to the highest standard and equipped with the latest technology. Many of the villas offered need refurbishment, in this case, we will be happy to arrange the right contractors. Some houses are not included in the official offer as sellers want to see their offer discreetly treated. On request we can also offer you these properties. You are looking for something unique? Get in touch with CW Group! We are the best contact partner. We have a numerous selection of different types of properties for every taste . 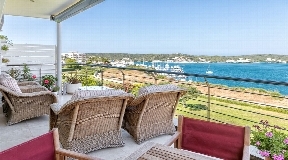 We have many elegant, stylish and modern villas in a quiet area with wonderful views of the sea and the city of Menorca. 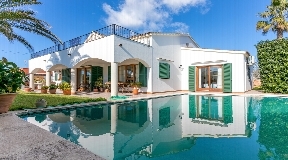 Villas direct on the coast of Menorca, with breath-taking 180 degrees panoramic views of the sea and the skyline. Well located, near the most beautiful beaches of the island, in walking distance. The houses on this nice island are still cheap compare to the rest of Balearic islands.